How to build a bold and authentic leadership culture that successfully drives transformation? In this exclusive MasterClass for HR executives, Aboodi Shabi from Henley Business School will explore the value and importance of transformational, rather than incremental, leadership development and what it takes to drive change in leadership culture. He will set out possible challenges and obstacles on the way and show how different coaching solutions can help to identify and address those. Professor Alison Hardingham, will then explore the psychology and neuroscience of coaching, and introduce evidence-based tools, techniques and ways to support change and transformation. You will leave this Executive HR MasterClass with a better understanding of the challenges you might face developing the leadership culture in your organisation, and be able to identify what future learning areas your organisation will need to explore to change its leadership culture. 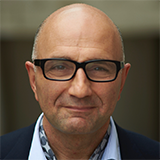 Aboodi, Lecturer in Coaching and Behavioural Change at Henley Business School, has been working in executive coaching and coach training since the mid 1990s and has decades of international coaching, training and leadership development experience. He has delivered coach-training programmes and worked with executives and teams all over the world, in sectors ranging from NGOs to financial services, pharmaceuticals and media. He is a regular speaker on the international coaching circuit, and an invited guest tutor on mastery in coaching at several European coaching schools. Aboodi has been on the ICF global coaching board and was founding co-President of the UK ICF Chapter. He is currently on the editorial board of the Coaching at Work magazine. 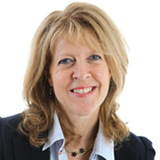 Professor Alison Hardingham is an executive coach and coaching supervisor with over thirty years of experience across companies drawn from every sector of industry, and including work in the United States, Europe and Australia. She is the Lead Tutor for the triple-accredited Henley Professional Certificate in Coaching programme and the Henley MSc in Coaching & Behavioural Change. She’s also a visiting Executive Professor, and works on a number of the senior management and leadership programmes at Henley. Alison is a well-known and widely published psychologist, specialising in individual development, leadership and change at a personal and organisational level. Her book, The Coach’s Coach, was published by the CIPD in 2004. Online registration for the event is now closed. To still register for the event, please contact Sabine Doms (sabine.doms@henley.fi; +358 50 9126 955).